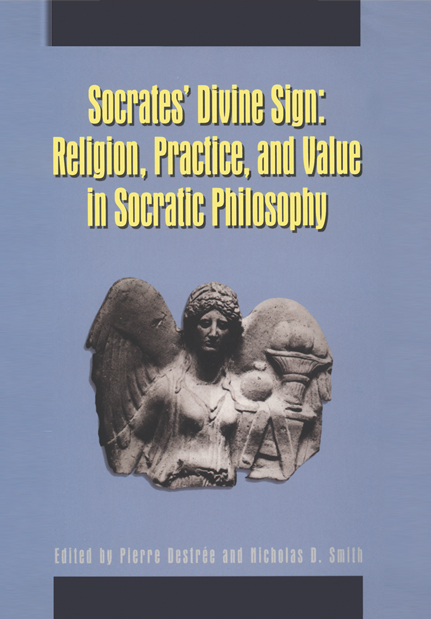 Scholars are revaluating the importance of the religious dimension of Socrates’ philosophy. To contemporary readers, perhaps the most alien aspect of Socratic religion is his daimonion. Plato and Xenophon portray Socrates as a paragon of reason, whose religious views they also regard as models of rationality. Whatever the exact nature of the daimonion, they never give the impression that Socrates’ reactions to it were foolish or irrational. In Plato's dialogues as well in Xenophon' s Memorabilia and Apology, the daimonion appears to be one of the central features of the religious dimension of Socrates' trial. More generally, Plato insistently repeats that the occurrence of the daimonion to Socrates was a very common and frequent event, and that it even occurred as he engaged in his philosophical inquiries. The collection brings its reader up to date on a thriving and significant discussion. … Almost everyone who teaches Plato and Socrates in college … ought to read this book.” (Notre Dame Philosophical Reviews). Contributors: Luc Brisson, Aldo Brancacci, Thomas C. Brickhouse and Nicholas D. Smith, Pierre Destrée, Louis-André Dorion, Mark Joyal, Mark L. McPherran, Michel Narcy, Gerd Van Riel, Roslyn Weiss.